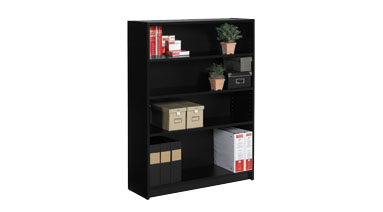 Attractive bookcases for the home or office. Shipped fully assembled. 3 adjustable shelves. Features 11/16 thick gables and shelves. Avant Honey finish. 36W x 12D x 48"H.